Karlene Lea Davis, age 76 of Troy, passed away Monday, November 19, 2018 at Miami Valley Hospital, Dayton. She was born January 13, 1942 in Chillicothe to the late Robert Lee and Carol Elizabeth (Hamner) Peck. 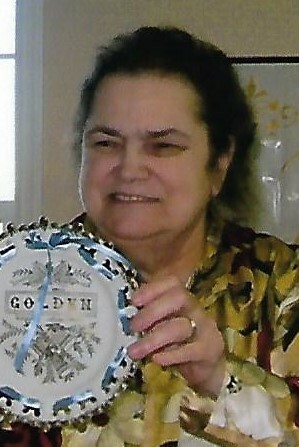 Karlene is survived by her husband Donald Davis, whom she married December 28, 1961; two daughters: Lydia Louk of Troy and Nancy Davis of Troy; five grandchildren: Amanda Baker, Elizabeth Craig (Walter), Donald Baker, Abby Louk (Ian Walters), and Jessie Davis; two great-grandchildren: Courtney and Gracie; brother David Peck (Joyce) of Chillicothe; and two sisters: Vickie Blazer of Chillicothe and Linda McNichols of Chillicothe. She was preceded in death by her brother Robert “Bob” Peck. Karlene was a graduate of Chillicothe High School and a member of Open Arms Church in Tipp City, where she was a member for 40 years. She actively volunteered throughout her community and her church and made many donations to various veteran’s organizations. She helped with the Back to School Program at Open Arms and also helped families with special needs. She even volunteered at health fairs where she would dress up as a clown. She also loved flowers and loved to garden, and enjoyed playing Farmville. She retired from Spring Hill Nursery in Tipp City. Karlene had a very big heart and loved life. She especially loved her family, and enjoyed spending time with them around the holidays. She will be very missed by them all. The family would like to thank and acknowledge the members and staff at Open Arms Church. A funeral service will be held 11:00AM Monday, November 26, 2018 at Fisher-Cheney Funeral Home, Troy with Pastor Bob Bell officiating. Visitation will be from 10:00AM-11:00AM at the funeral home prior to the service. Interment will follow in Riverside Cemetery, Troy.